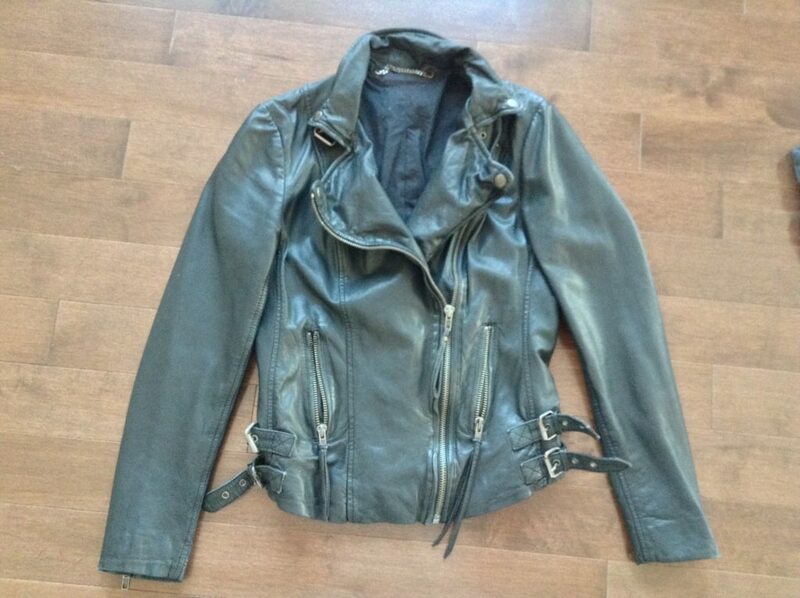 Laurence Basse Inspired Studded Black Leather Moto Jacket (Muubaa) | Save. Spend. Splurge. I was completely enamoured with Laurence Basse (of Project Runway Season 15 fame), who made the most amazing jackets on the show. 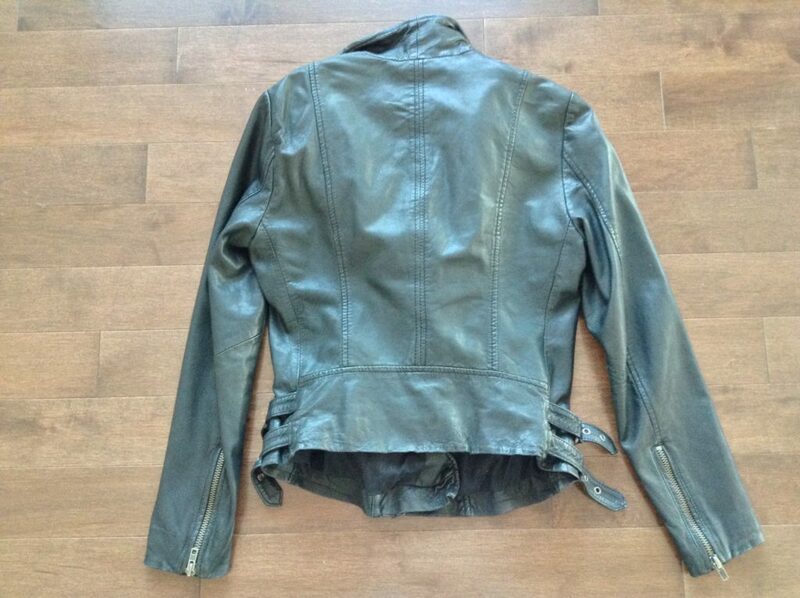 She recently opened an online shop here, and I IMMEDIATELY wanted this leather jacket of hers, custom-made running a cool two grand each. 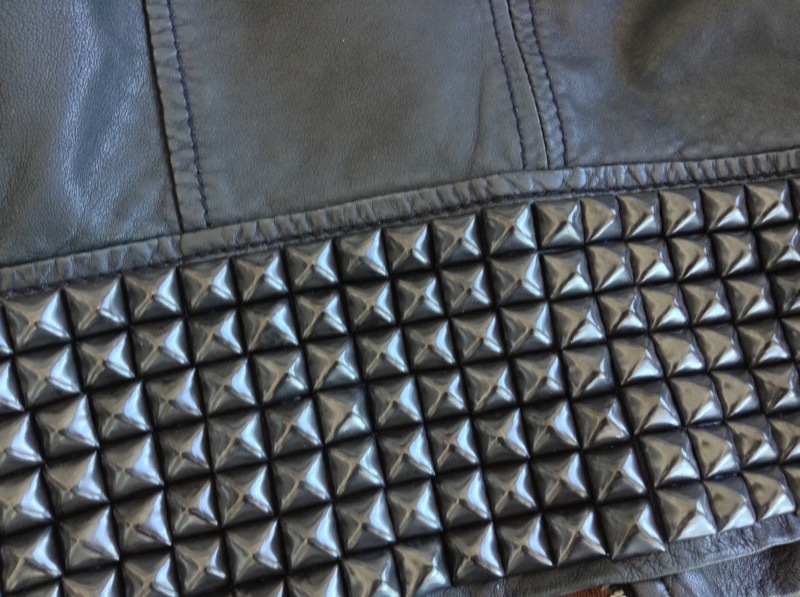 You can see the jacket in the making here in her IG photos, and here as well, and this one is the hammer used on the studs, it is some seriously cool stuff, and seeing as I went through the process, it is NOT EASY. 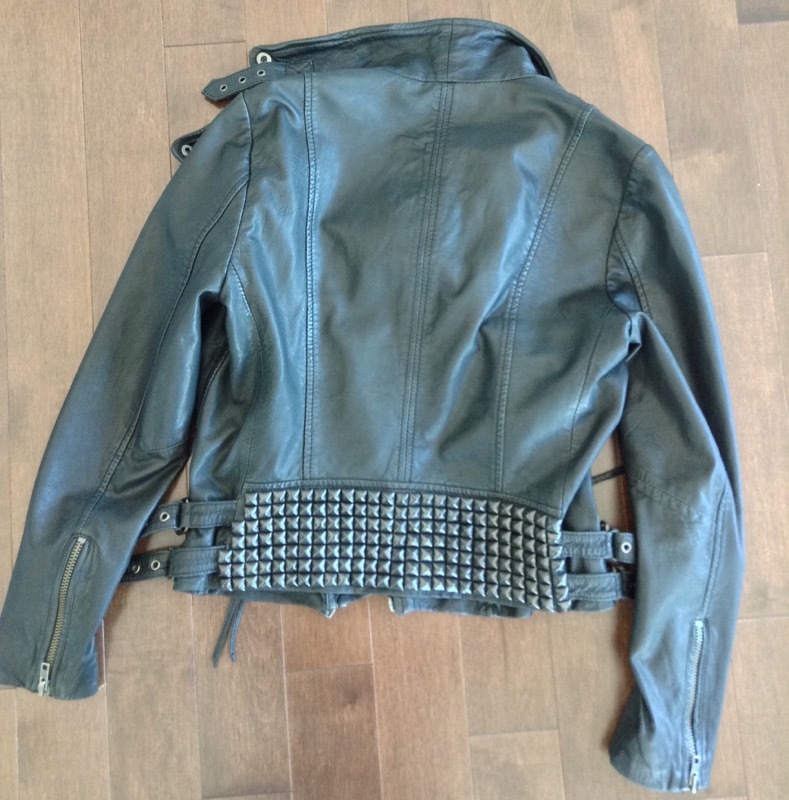 The studs looks fantastic and it gives a perfect edge to the jacket while still being a classic jacket in the front. ← Did your parents teach you things about clothing, dressing or style? You did an AMAZING job! I think you were right to stop there. You seem to be a person who is very precise, and if you did more and it was not 100% symmetrical on the sleeves, it might bother you. Also, the collar on Laurence’s jacket in your photo, with its stiffer and minimalist vibe, lends itself more to all-over studs.